Unley Park is a southern suburb of Adelaide in the City of Unley. Its postcode is 5061. It is located on the north side of Cross Road and east of the Belair railway line. Access via public transport is from the Unley Park railway station and the Unley Road "Go Zone". 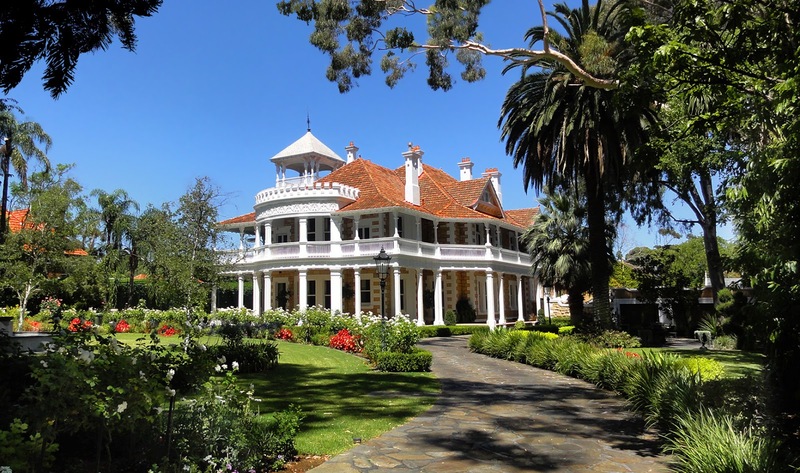 It features Victoria Avenue—Adelaide's wealthiest street, containing many large and luxurious houses built between the two World Wars. Here is one of the stately mansions on Victoria Avenue. All I can say is OH THAT PORCH! Memories. I often used to walk down Victoria Avenue to catch the old Cross Roads bus on my way home from school. I would gaze at these mansions in envy - I actually went to school with girls who lived there and was in awe of their luck. That's an awesome place - wow! Wouldn't you love to stay there?